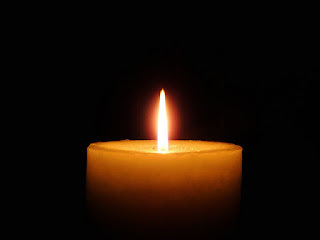 A photo of a lit candle. Credit to Shawn Carpenter on Flickr. We remember you today, each life a lit candle in the darkness. Each flame a hope, a soul. A small trace of love in cupped hands. Our prayers and wishes for you rise up like the smallest whisper of smoke. The wax running over like our tears. You brought light to the world, regardless of if anyone ever told you. You are missed, no matter how many people don't say the words.